Going back to school for your BSN can be one of the best decisions you make as a working nurse. Of course, it requires choosing a school that fits into your lifestyle, first and foremost. Below you will find some of the most requested RN to BSN online programs from around the country. Click on these schools to request more information. You can also request from multiple schools to ensure that you are making the best decision for continuing your nursing education. Why do I need a Bachelor’s Degree in Nursing (BSN)? As a Registered Nurse (RN), you are well aware of the multiple opportunities available within the field of nursing. One of the easiest ways to advance your nursing career is to obtain an advanced nursing education. A Bachelor’s of Science in Nursing (BSN) degree can increase earning potential, broaden career options and enhance your credibility as a healthcare professional. According to a 2013 HRSA Report, BSN prepared nurses earn nearly 10% more in wages than RNs who do not have a Bachelor’s Degree. In addition, patient outcomes improve when the nurses caring for them are educated at or above the baccalaureate level (JAMA September 24, 2003, Vol 290, No. 12). Taking these benefits into account, and considering the American Association of Colleges of Nursing (AACN) report that 80% of the nursing workforce needs to be educated at or above the BSN level by 2020, now is a great time to expand your nursing education! Since most online RN to BSN programs also require clinicals, you may want to check out campus based RN-BSN bridge programs too. In addition to increasing your earning potential, obtaining your BSN opens up a wide array of career opportunities, including administrative, management and leadership positions. As a result of obtaining your BSN, you will also have the tools necessary to enter into many of the fast-growing nursing specialties including quality improvement, informatics, health care policy, and community/public health nursing. Additionally, a Bachelor’s degree opens the door to Master’s and Doctoral level educational opportunities, which are required for nurses to practice as primary care providers, midwives, researchers and nurse educators. As health care reform continues, educational requirements will likely change as well, further supporting the need for more nurses with a Bachelor’s Degree. As a Registered Nurse, you understand the impact that the quality of care you provide has on patients, families and communities. Multiple studies have demonstrated that nurses with a BSN possess stronger critical thinking, problem solving, communication, and leadership skills which all lead to improved competency, and ultimately, improved patient care. Caring for others is often the main reason for choosing nursing as a career, and as you expand your education, you also expand your ability to provide patients with high quality nursing care that meets their ever increasing healthcare needs. While the thought of returning to nursing school can be daunting, there are many options that will allow you to be successful both at school and at work, while still allowing time for family and personal activities. Hundreds of schools now offer Online RN to BSN Programs, allowing RNs to earn a Bachelor’s degree while balancing the roles of career and family. There are also many employers who support advanced nursing education, offering tuition assistance and/or reimbursement for employees, as well as higher pay after a BSN is earned. 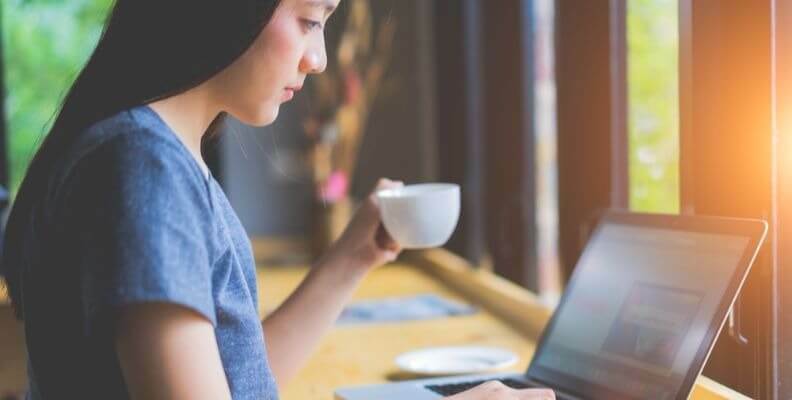 Additionally, a recent study by the US Department of Education found that online learning is one of the fastest growing trends in education and technology, and offers enriched resources as well as access to instruction from nearly any location, at all times. The study also found that students who do part or all of their coursework online perform better than students who do all their work in a face to face classroom setting. Choosing an RN to BSN program that adequately meets your needs is essential to your educational success. It is important to thoroughly investigate admissions requirements, tuition costs, on-campus and/or clinical requirements, length of the program, financial aid opportunities and requirements for credit transfers and graduation. Additionally, consider the advantages of choosing a school with a well-established online program, as faculty will be experienced with providing computer based courses, web support and online instruction. Note that the schools featured below offer programs that allow RNs to complete coursework toward a BSN online, and have been developed to enhance both your educational and career success. As a rule of thumb, when choosing an RN to BSN program, you should contact multiple schools during the course of your research, as the best way to find the RN to BSN program that is right for you, is to spend some time shopping around. What Does “Online” Really Mean? All “Online” BSN programs are not created equal. You may still have to regularly visit the campus or other specific class locations during the program. You may only have to do this occasionally – once or twice a semester, or at the end of the program, etc. Or you may never have to – “Online” for some schools means 100% online. At some schools, the start dates for the online program are the same as the academic term start dates for the campus based program. At other schools, there are a broader range of start dates available for the online program, which means more flexibility for you. Generally, the “Featured” online programs on this website require less time spent on campus than the other online programs listed, and have a wider variety of start dates, because they’re offered by schools that have a much greater focus on delivering online programs. That’s worth thinking about as you choose a school. If you decide to enroll in an online program, you may get better results by choosing a school that’s got a lot of experience offering online programs, and has worked out a lot of the kinks already (technology issues, curriculum, how to handle clinicals, etc.). It’s a good idea to contact multiple schools, and to ask about specific requirements such as time spent on campus (many online programs will also require some visits to the actual campus), GPA requirements, and transfer credits. Are Clinicals Part of Doing an RN to BSN Online? You should expect clinicals to be a part of the program. A typical program might require 50-70 hours of clinical time during the program. For most RN to BSN online programs, the clinical time can be completed in any state you’re licensed in. This often means you’ll be able to complete them right at your workplace, but it’s important to keep in mind that the allowed clinical settings may vary. For example, if the course that requires the clinicals is a public health nursing course, then you may be required to complete those clinicals at a school clinic, a public health clinic, or a similar site, but you may not be allowed to complete them in a hospital. It’s just another question to put on your list for when you talk to the schools. You can read more about these issues here: choosing an online RN to BSN program. Expert Advice: I’m an RN. Can I get my BSN purely online? If you are an RN with recent and solid clinical experience, an online RN to BSN program is a very good option. You will have more flexibility in your class schedule and you will receive insights and discussion from a larger geographic area. RN to BSN programs build on your prior education and experience by opening your professional nursing perspective. They focus on integrating nursing theory, concepts and research with your practical background. Do your homework, though, and be sure online education is a good fit for your personality and life situation. Thoughtfully consider your personal learning style. Nurses who do well in the online environment are organized and self-directed. Self-scheduling and the ability to meet personal deadlines are important attributes for online success. Some nurses feel a need for the added structure of the classroom environment. Deadlines imposed by an instructor for which you are accountable during face-to-face classroom sessions seem more real to these individuals. It is motivating to have a class date and to interact both verbally and physically in a geographic location. In addition, the local nurse community networking can be a positive experience. My graduate education over the course of several years in a classroom format forged close personal relationships with other area nurse leaders that expanded my career options right where I was living. Expert Advice: How will I find a clinical preceptor for my online RN-BSN program? One of the challenges of an online nursing program can be locating an effective clinical preceptor experience. Each online school has specific requirements for the precepted portion of the program so first obtain these requirements from your school. Once you have discussed the requirements and options with your faculty advisor, you can begin researching sites within driving distance. Create a list of the local clinical facilities that meet your school’s requirements and research each organization to locate the person in charge of clinical education. This information may be found on their website or you may need to call and ask for their name. Smaller organizations may have a nurse manager who is in charge of orienting new staff. Larger facilities will have education departments with several nurse educators. Generally speaking, you are more likely to have success with a larger facility as they will have more staff and resources. A good way to locate a clinical preceptor, if the school allows it, is to find an excellent role model within the facility in which you are currently working. You may know someone who works on a different unit or could ask for advice from the education staff. Facilities are often willing to make accommodations, especially if you agree to continue working there after licensed. Whatever avenue you take, be sure to make the most of your precepted experience. There is great value in learning from an experienced peer. You are investing your time (and tuition) in the experience. Reap the many benefits of your efforts and those of the nurse willing to be a part of your education.